International expert organization DEKRA has been selected by Sigfox, the world's leading provider of connectivity for the Internet of Things, to provide testing and certification services to manufacturers of communication devices according to the Sigfox Ready™ certification program. Following two years of close cooperation with Sigfox, DEKRA has taken a step forward and has adopted an active role in the Sigfox Partner Network and, by becoming a recognized test house for Sigfox Ready™ certification. Sigfox' global LPWA (low power wide area) network connects millions of devices to the Internet and addresses some of the greatest barriers to global IoT adoption: cost, energy consumption, and global scalability. As a Sigfox test house, DEKRA can test products to receive Sigfox Ready™ certification, ensuring the performance of connected devices while maintaining optimal quality of service on the Sigfox network through conformance with the Sigfox radio specifications. "In just a few years, Sigfox has taken a leading position in "connecting things" to the Internet, leading to a significant reduction in costs and complexity thanks to the simplicity of their technology. As part of our connectivity strategy, we will enable our network of laboratories worldwide to provide services for all the key technologies that are and will drive the Internet of Things markets", says Fernando Hardasmal, Global Director Market & Sales, DEKRA Product Testing & Certification. 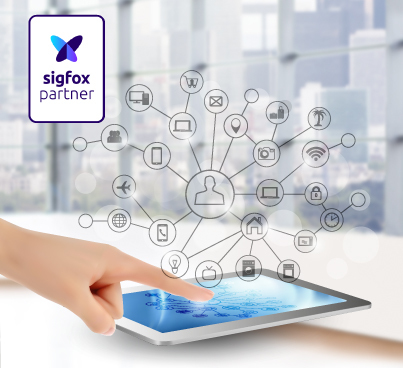 As a new partner in the Sigfox Partner Network, DEKRA can continue to fulfill its role in this new IoT scenario, helping manufacturers bring their connected devices to market, while complying with the expected levels of interoperability, security, safety, and reliability, as well as with the applicable type approval requirements.